Those who have served us in the military should never be without a roof over their heads. I’ve written in past blog posts about the Betsy Ross Project housed at the Washington Soldiers’ Home in Orting. A refurbished dormitory for wartime nurses has been converted into a 12-room apartment building for women veterans without homes. But, the project provides much more than a badly-needed and safe place to sleep. First, a bit of background. Thanks to Don Anderson, we learned of the proposed project last year. The project had a strong partnership behind it, but needed a little help closing the funding gap for opening. 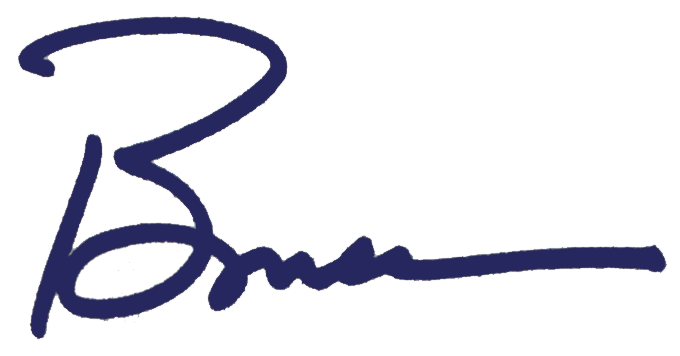 We included a request in our first supplemental budget which our Council approved and then followed up with a little more assistance in the 2018 budget. The combined support from many other partners, including the WestCare Foundation, renovated the nearly 100-year-old brick building. Fresh coats of paint and beautiful pieces contributed by local artists – matching the butterfly theme – covered the hallway walls. Quilters in our community sewed comforters that would welcome each resident. In addition to the cosmetic changes to the facility, the vets have access to treatment, counseling and job support. The quiet campus setting and dedicated volunteers are a wonderful balm of hope and healing for individuals who’ve worn the uniform. 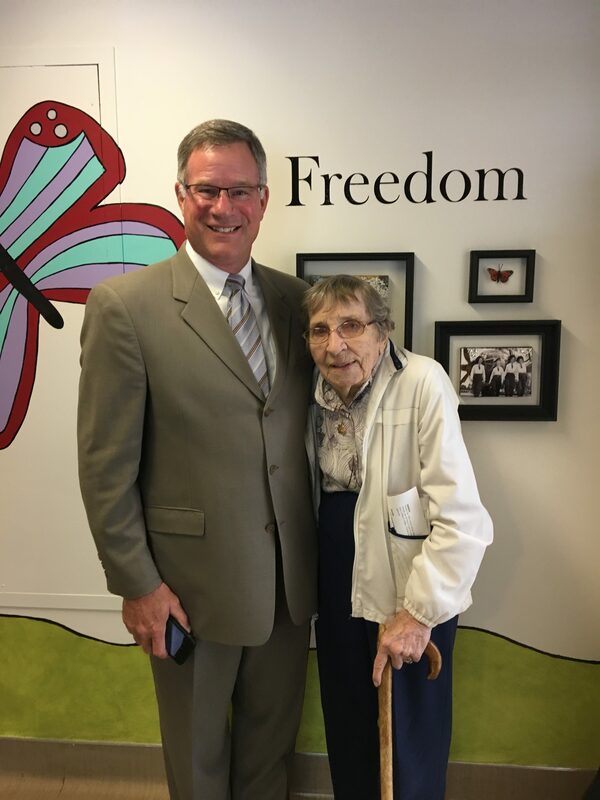 The project celebrated its official Open House this week and I was excited to join the celebration. Along with Alife Alvarado of the Veterans Administration, the guests learned a great deal about Betsy Ross, the groundbreaking namesake of the program. 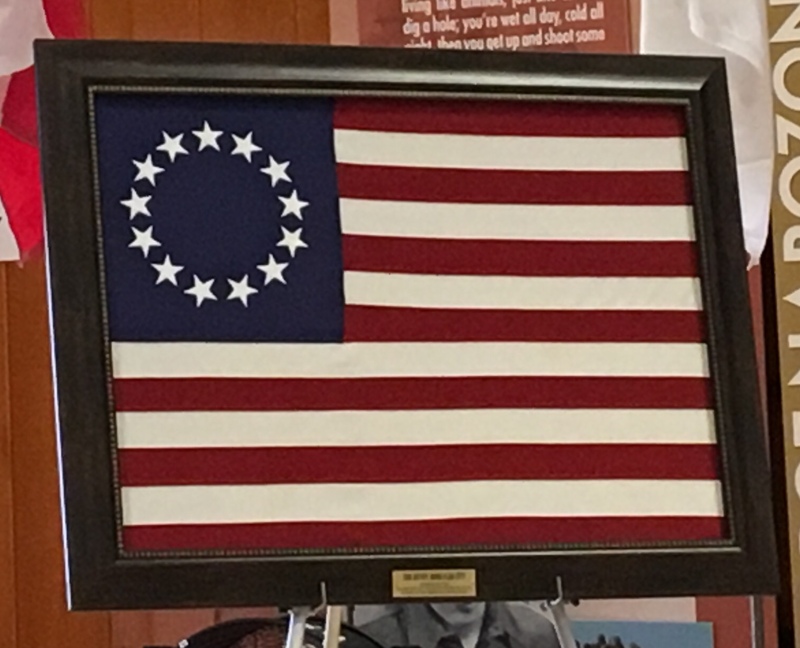 In tribute, the Daughters of the American Revolution presented a replica of the first flag Betsy sewed. I’m sure it will hang proudly in the Hall. We heard stories of women who valiantly served our country and found themselves in heartbreaking circumstances after transitioning to civilian life. 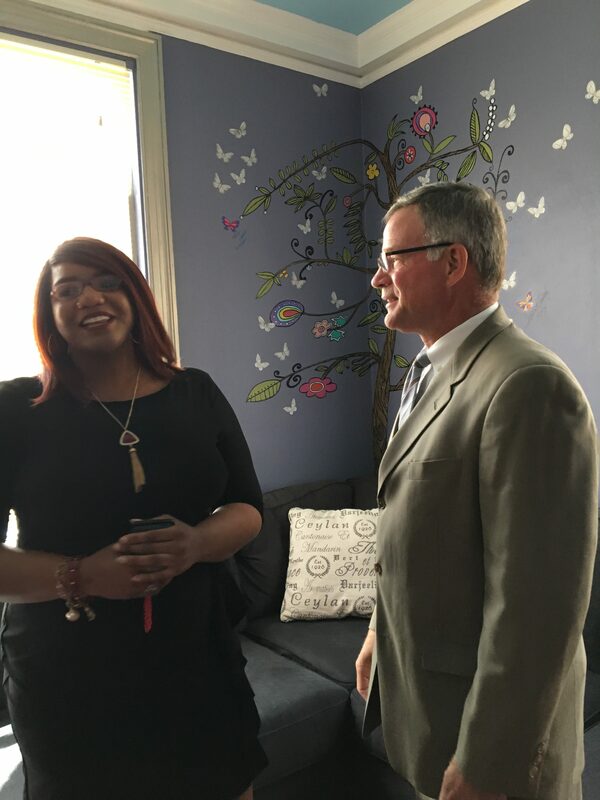 Thankfully, their time at the Betsy Ross Hall is providing the care, safety and security they need to turn their lives around and emerge stronger. The butterfly metaphor is especially apt as graduates literally sign one of the many butterflies adorning the walls as they depart. 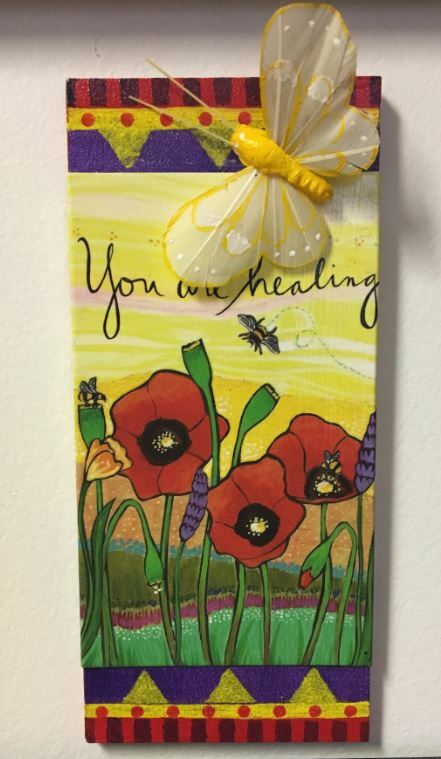 One of those “butterflies” is now employed as the Hall’s on-site Veterans Navigator, connecting residents to resources. Her story is a tremendous testament to the power of community and the will to succeed. As you might imagine, many veterans attended Tuesday’s celebration. Easily the most charming was Mrs. Harmon, a nurse from World War II. She described herself as “only” 98 years old! She was delightful, smart and sassy. She even told me to “be good” and warned she would be watching me. I don’t doubt it! Thanks to the Betsy Ross Project, some of our treasured veterans have received the care and support they earned and needed. It’s the least we can do to honor them, given all they’ve done for us. 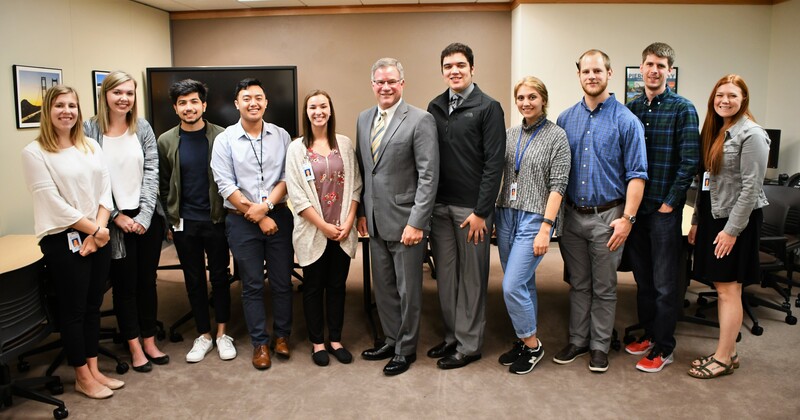 In closing, I had the spent some time talking with interns who are working with us this summer. You will find them throughout the County, from the Assessor-Treasurer’s office to Planning & Public Works, from Emergency Management to Communications, from Finance to Human Services. While they most come from Washington, we have one from Pennsylvania and another from Texas. Some even have close Pierce County connections, like Meghan LaLiberte, whose father is Detective Jason LaLiberte!